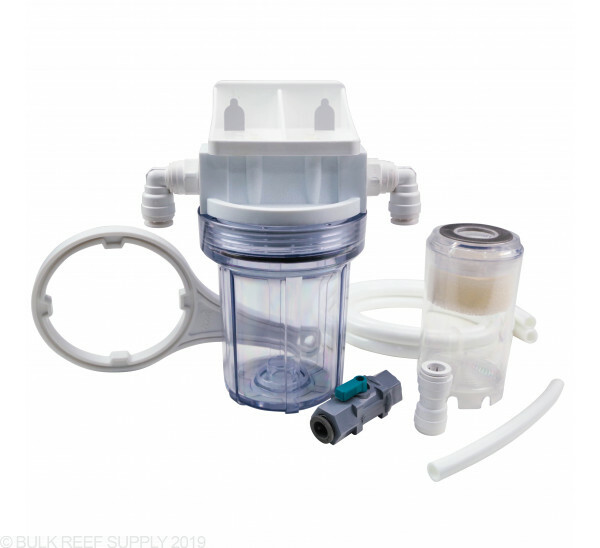 All of the BRS reactors come with easy to use push connect tubing, flow control, and a refillable cartridge. 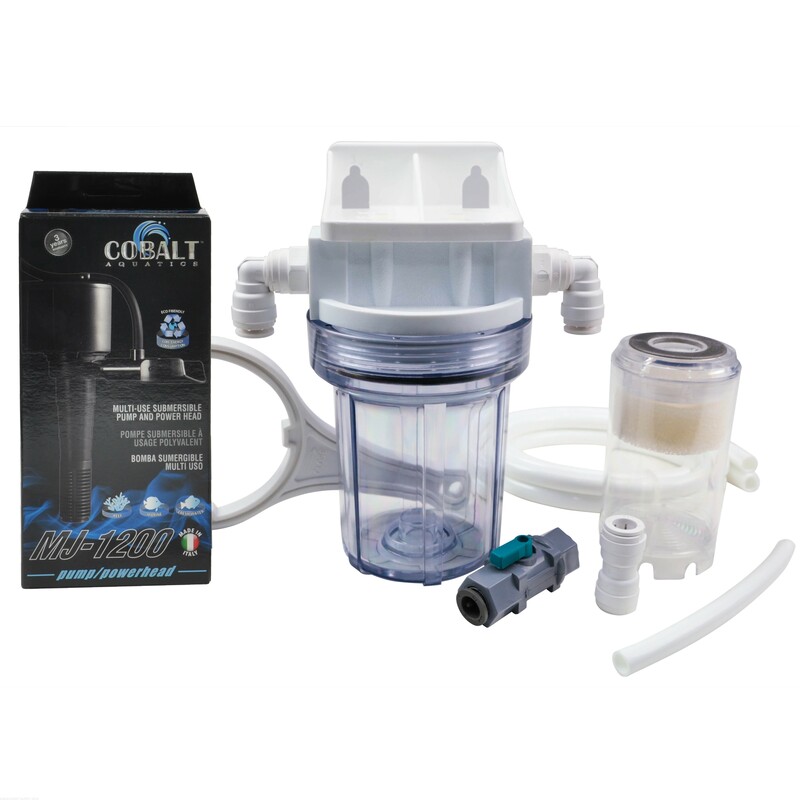 We took easy to find components to keep things cheap, while designing an efficient easy to refill reactor for aquarium use. We keep hearing our reactors are the easiest to refill even when compared to others three times the price. When changing the media is easy you are more likely to do it in a timely fashion as well. We also recommend having an extra refillable cartridge on hand to make changing media that much easier. Easy to use, setup and maintain. Perfect for utilizing GFO and Carbon in the aquarium. No annoying thumb screws and leaky lids like other reactors. BRS recommends a Cobalt Aquatics MJ 1200 pump to operate this reactor. Sold separately or packaged with the pump. 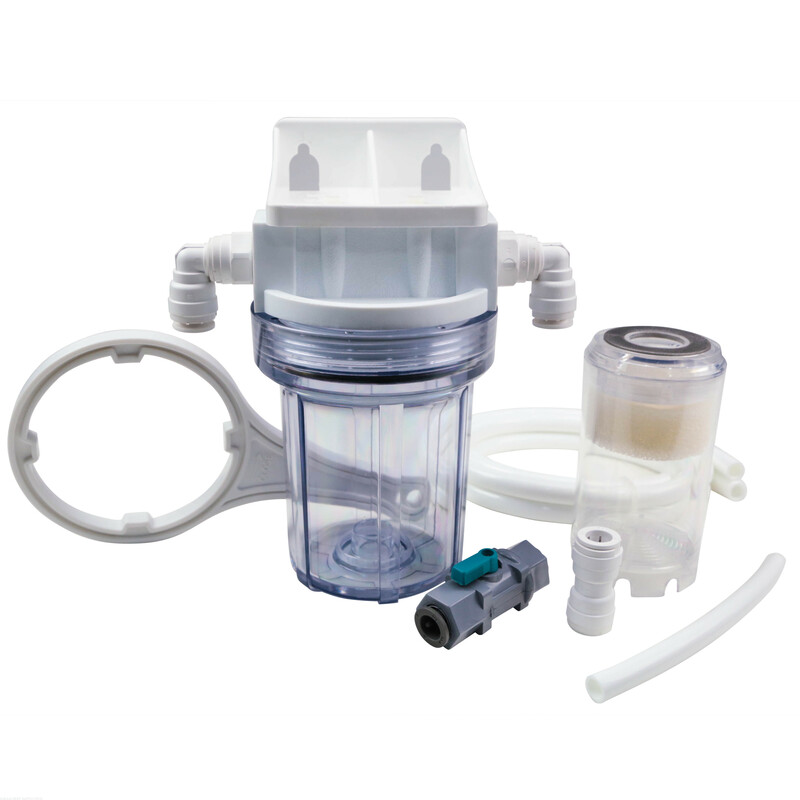 Choose a different pump depending on mounting height and amount of media used. The BRS GFO & Carbon Reactor features several distinct advantages over other brands. Dimensions: 9"H x 8"W x 5.5"
MJ1200 Pump Dimensions - 6" x 3" x 2"
Setup was short and sweet as I already had extra valves on my return line. Tubing was a little hard to work with but nothing a little hot water didn't fix. Thanks guys fast shipping also ordered Wednesday got here Friday. Not so much the bracket itself, but, the plastic bolts that attached the bracket to the canister are terrible. 3 of the 4 pop out as soon as I try to unscrew the canister. I have to remove the canister from the wall and use the hose valve elbows for leverage to unscrew. Not a good long term solution but plastic bracket bolts simple cant handle the torque. To MATT, the tubing doesn't go over the MJ pump, it comes with a quick connect that receives the pump outlet on one side and the tubing on the other. Got this and it recommended the mj1200. I assumed since it was recommended for this that the correct tubing would be supplied. Turns out the od of the mj1200 and the tubing are the exact same size. The tubing is very rigid and there is no way I'm getting this tube over the pump. Now I get to go buy more stuff for it. The included tubing is such a pain to work with. The reactor started leaking after a few days as well. My first time shopping at BRS and purchasing a BRS product and it's safe to say I am not impressed at all. I have a 50 gallon reef tank and this was the perfect reactor for that size tank. I have limited room in my stand cabinet and this fit on the wall just above my sump. It was easy to plumb (I read other reviews saying how difficult it was) the white tubing that comes with it is rigid but was easy to cut with a PVC ratchet cutter ($10 at a home store). I actually like the rigid white tubing as it does not flop around. I ordered the kit with the pump and the union fit the pump discharge perfectly. The pump is quite and I adjusted the flow with the included ball valve per the instructions and everything is working well. This was my first purchase with BRS, the products seem very high quality and a great value. I will be back purchasing more products in the future. Omg! I was expecting this to be pretty simple but it wasn't. Once I got it all connected I started it up and water works all over the place. Then as I quickly tried to get it under control the rigid hoses broke a panel in my sump that ended up cutting my finger. The fish don't seem to mind my blood. That's kind of scary. Anyway, more instructions could have come with the unit. Also it was missing the foam pieces. Only came with one. If you are going to use the connectors included throw in a connector wrench. Other products that use these connnectors throw in that little wrench. Just purchased the mini reactor and hooked it up. I cant vouch forbthe end results as far as water quality just yet BUT i have to agree with what others have said about the tubing being way too rigid. Its very difficult to manuver. Also the most important issue so far for me is that the in and out elbow fittings both leak on and off even when im not fiddleing with the tubing. I would prefer to mount this somewhere but no way it leaving the sump with leaky fittings. Pretty disappointed. Brs has such nice quailty stuff. This thing is a beefcake. Same simple yet sturdy design as the normal size reactor, but in a smaller form. The small foot print is a huge plus in the reefing industry because of all the new toys that come out. Functionality and performance are top notch. Would highly recommend this reactor. This is a really well made product. Its sturdy. Tightens and Un-tightens easily. I use this for my Gfo and Carbon mixed together and it works great. 1. Wish it came with a couple extra sponges. With only one sponge the media inside the reactor now tends to push the sponge up. Therefore there is some tumbling going on with the carbon and gfo mix. A couple extra sponges allows you to hold everything in place better. Or allows you to replace the one thats in there now which is getting old. 2. If there was an option of semi-ish-flexible tubing as well. The white tubing is really ridged and in smaller sumps is hard to move about and position nicely in between other equipment and is in the way sometimes. That being said I would Definitely recommend getting this as it really works well, and you will see a marked improvement in your water quality especially when coupled with the BRS higher quality carbon and GFO. I must say i absolutely love this mini reactor!!! 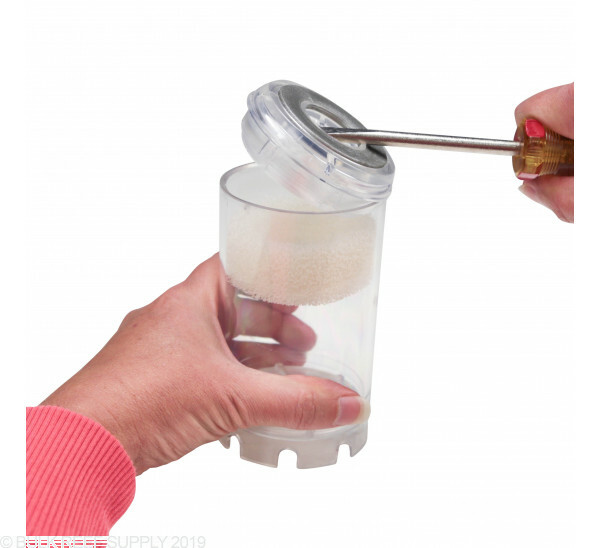 Included instructions are so short and sweet, it sets up in minutes! I used this in my mini reef tank (20gal breeder) i just set it up in my sump filled it with BRS ROX 0.8 Carbon and BRS High Capacity GFO and my water was crystal clear in about an hour! This is a must have for a new reefer or anyone with a small tank! Will this reactor be good as a GFO+Carbon reactor for a small pico tank (about 2.5 gallons)? The tank sits on the kitchen counter....could I put it directly behind it or will it work best if it is under the tank somewhere? Can I use the mini reactor to run bio pellets? I know you have a bio pellet specific reactor, but its a little large for my application. 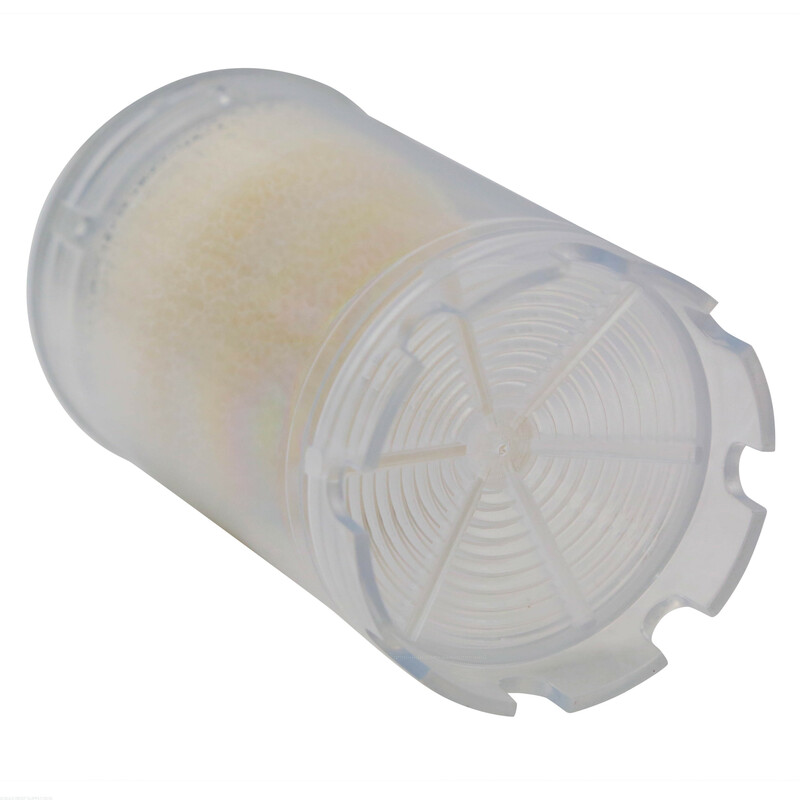 The Mini Reactor will be very difficult to use with Bio-pellets, the reason is the pellets will clog very quickly due to the shape and design of the reactor body. 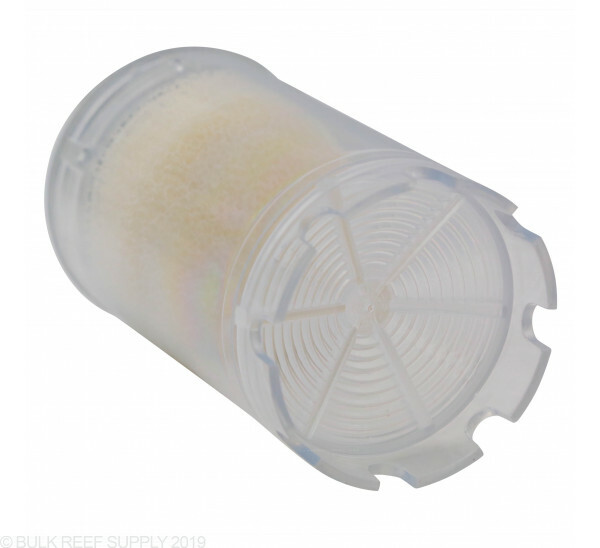 We recommend a reactor designed specifically for Bio-pellets whenever possible. Feel free to let us know if you have any further questions! I want to run this with a mix of carbon and gfo and a different pump. How much flow should be supplied to this reactor? Ideally this Will work on a max flow around 300 GPH, typically between 150 to 200 works great depending on the head height. Feel free to let us know if you have any further questions! 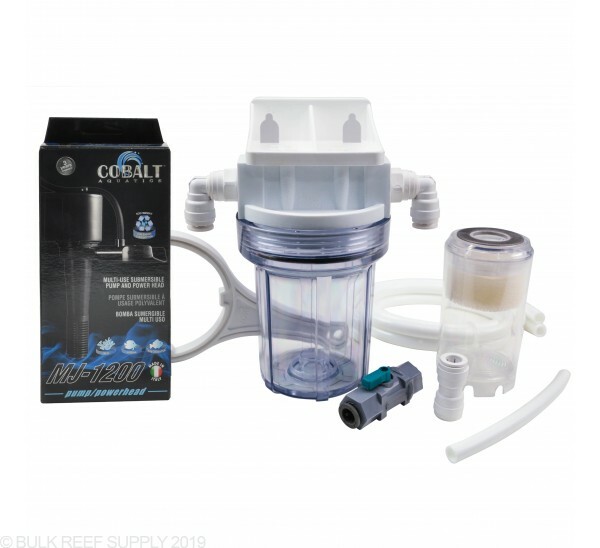 Hello, can I connect the reactor to my sumps out return pump using a splitter, or do I have to purchase its own separate return pump for it to work more efficiently? 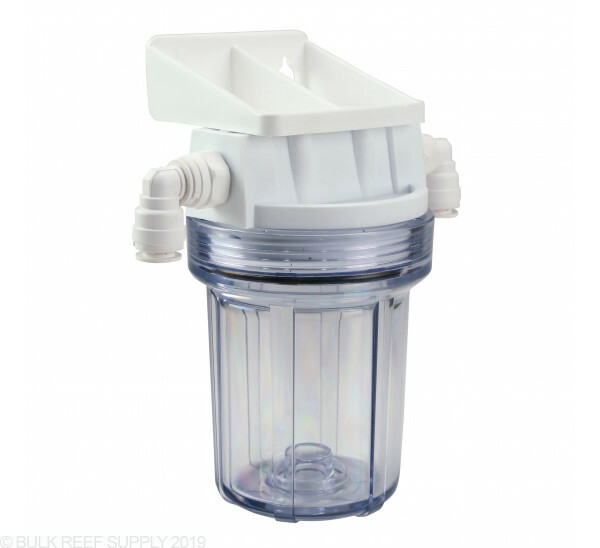 You can choose to either split the return pump or use a separate pump. Both options will work well! Can phosban media be used alone or does it need to be mixed with carbon? Biopellets? The phosban media can be used alone. It is not recommended to tumble media in the mini reactor as it is too small and may allow for clogging. there is not a need to mix Phosban with other media. Feel free to let us know if you have any further questions! Hi Ray, thanks for reaching out! The size of system is going to depend on what type of media you are using. The reactor holds up to 3/4 cup of media. 1/2 cup of High Capacity GFO which leaves room to tumble media, will treat a 65 gallon system. Check out our reef calculator to see how many gallons your chosen media will treat. Will this work for my nuvo fusion 20? I know this is an odd question, but would this mini reactor canister fit on the deluxe reactor. I like the deluxe top but like the smaller size of this canister. I just want to run carbon now, so the size of the canister on my deluxe reactor would fit my space needs very well. Unfortunately, the thread sizing is different between the mini reactors and the deluxe reactors. There is actually no common thread pitch/size for the reactors body to head connection so it is very uncommon to be able to swap canisters between styles and brands. All of our BRS reactors use 1/2" push connect tubing which can be found by clicking on the link below. Hi, I have a bio cube 29 and I want to install this in the stand. Would the pump be strong enough to bring the water back up and also strong enough that I could just replace the return pump and use 1 pump? How many cups of media (will be using for carbon) will fit in the mini? Are there any drawbacks to using the mini for both carbon and GFO? 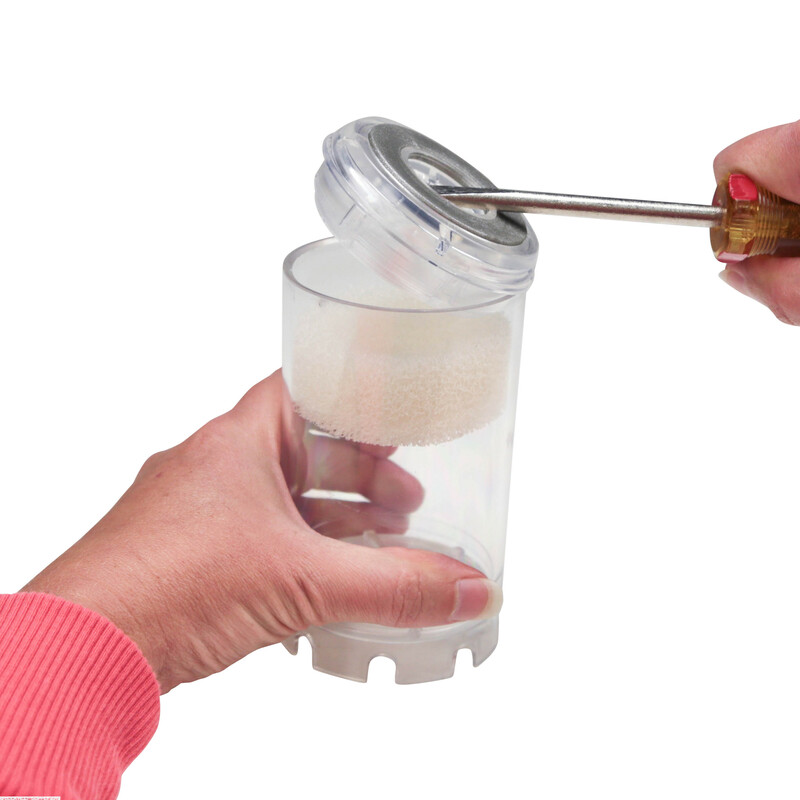 The mini will hold 1.5 cups of media. It can be used with Carbon or carbon and GFO mixed together just fine however is too small for only GFO as it would clog. Feel free to let us know if you have any further questions! Hey! I'm pretty new to the reefing hobby. I had a 55 gal years ago. Nothing too special. I've just purchased a 125 gal with a 20 gal sump tank to start the hobby again. This is my first sump. I've been watching the BRS 160 videos and love them! So thanks for that! I wanted to know if the BRS mini reactor would work for my size tank? I'm sure I have plenty or more questions to come. Thank you for your time! 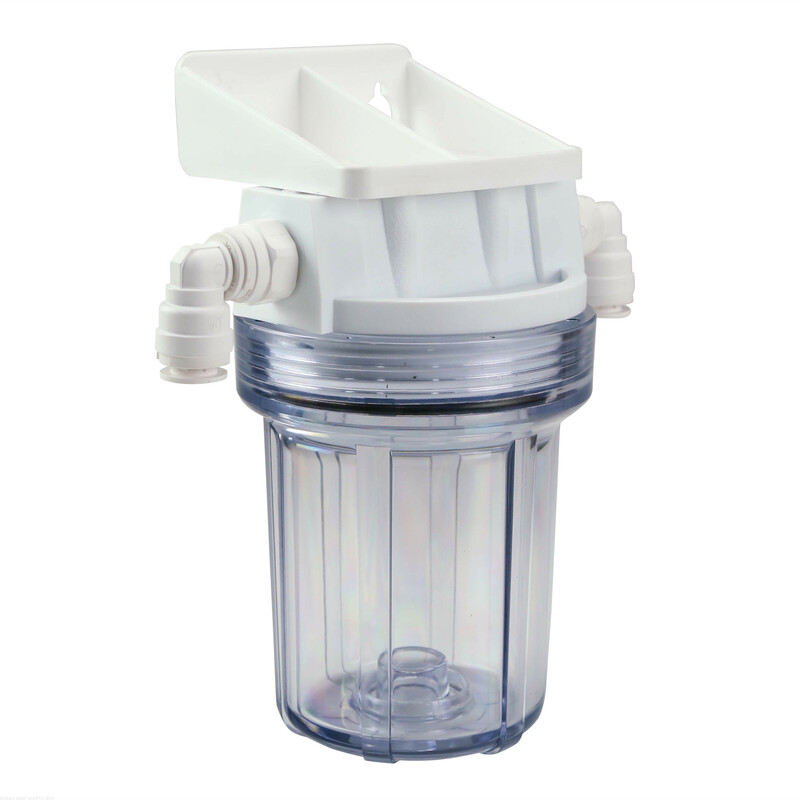 The mini is able to hold around 1.5 cups of media and would be too small for a 125 gallon tank. For that sized tank you will need the standard reactor. Feel free to let us know if you have any further questions! Im building a mini tank 20gal display and 10gal sump set up. can i use this reactor to run my Carbon and GFO? or is my tank too small for it? This will work great for a system of that size! Feel free to let us know if you have any further questions! If I wanted 2 of these would a single mj1200 pump be enough flow to make it through both of them and back up to the tank. This would go in the cabinet of a IM Fusion 20 and have to travel back up to the tank. We do have replacement O-Rings which are the same as our other canisters. I have included a link below. Would one MJ1200 be able to provide enough flow through 2 of these mini reactors, using either a T/Y adapter or running the output from one reactor into another? The MJ1200 can work great with 2 reactors. by connecting the tubing is a fairly easy option. The only issue is if you are planning on running GFO it will need to be mixed with Carbon on the Mini as the GFO will clog very quickly by itself in the Mini reactor. Feel free to let us know if you have any further questions! You are able to buy the replacement cartridges for the mini-reactor here. Have a great day! What is the largest aquarium size that I can use with this reactor ? It will vary depending on the media used however typically the largest will fall between 60-75 with the high capacity GFO and ROX 0.8 Carbon. Feel free to let us know if you have any further questions! Would this be large enough to use as a carbon only reactor on a 60 gallon? If High Capacity GFO and ROX 0.8 Carbon are used it can work. However standard GFO or Carbon will need a larger reactor. Will the 10" canisters fit on this unit? I have a 90gal mainly fish only will the mini be ampl size for my tank? The mini would be a little small and not hold enough media. We recommend the standard reactor instead. Feel free to let us know if you have any further questions!